I have been chastised by my Blogging Friends. I was shocked to see that the last post was in February! My New Year's resolution to post more often apparently just fell to pieces! I have promised them I would try very hard to keep up with posting. That being said, what's happening? 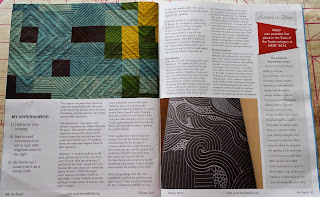 Radar (pieced by my cohort Kevin, the Quilter and quilted by yours truely) has been a very busy boy. He was featured in On Track magazine. 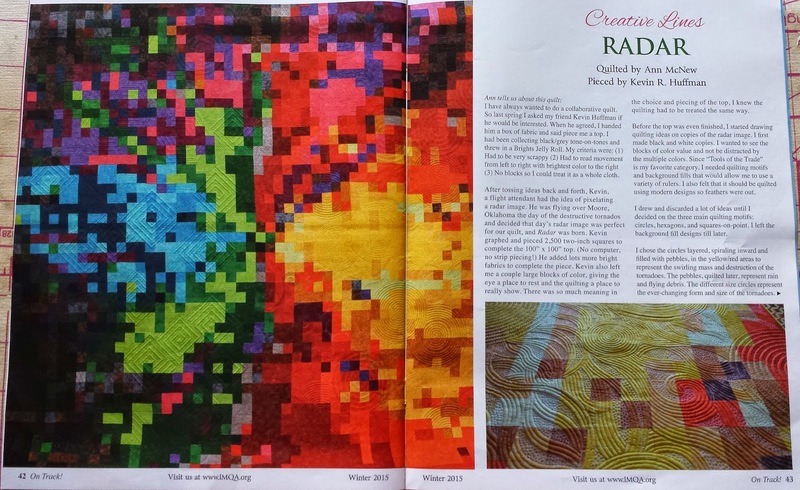 On Track is published by IMQA (International Machine Quilters Association). 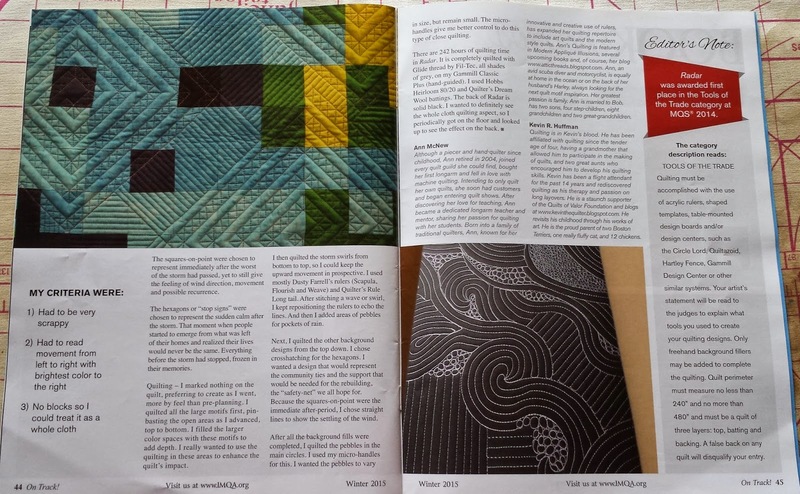 We had a four page spread! 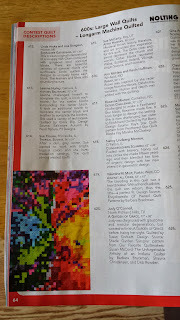 Because Radar was in the magazine, I was also invited to place an ad! Next, Radar paid a visit to AQS Paducah! Although we didn't win anything, we had a lot of fun. 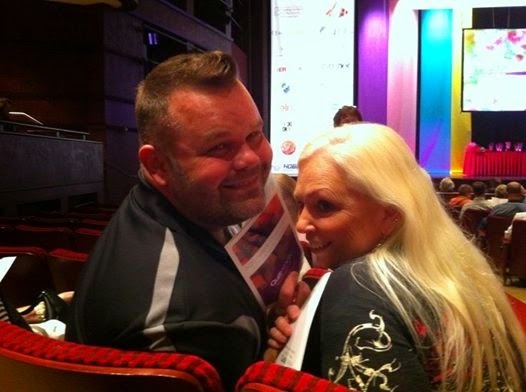 This was the first time I was able to go to the awards ceremony. The cheers and squeals of the winning quilters filled the auditorium, especially a Girl Scout troop that won a ribbon. 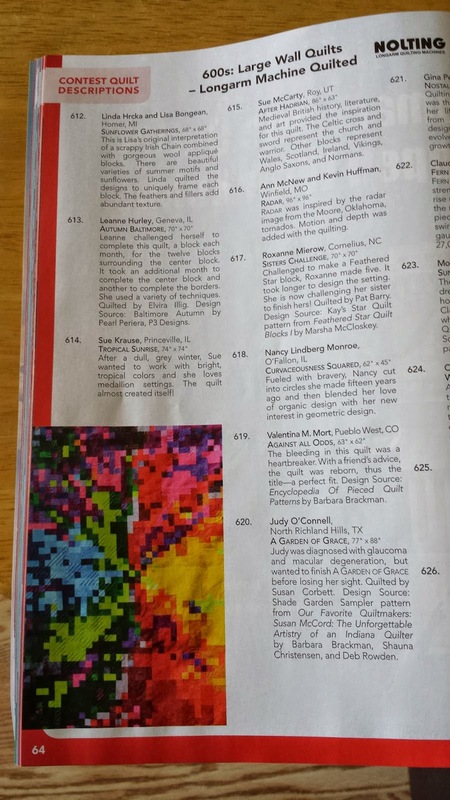 The next day, Kevin and I found out that not only was Radar picked to be pictured in the Show Book, he also made the cover of the Catalogue of Show Quilts! Next week is MQS in Cedar Rapids. I will be there all week as Dusty Farrell's (Country Stitchin') Teacher Angel. Drop in and say hello if you're at the show! 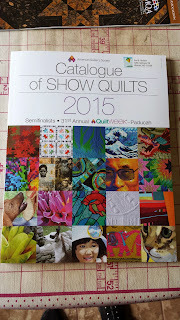 I have 3 quilts there this year, another nail biter. 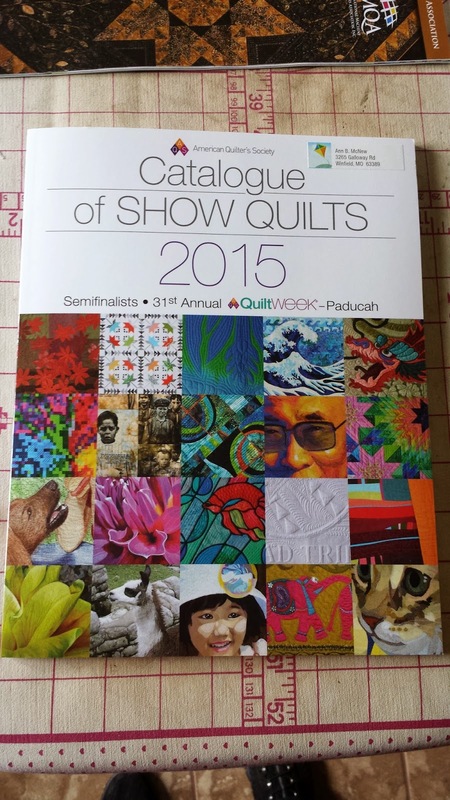 It's always a great show with lots of amazing quilts. Finally! A blog post! LOL JK Have fun in Iowa, and I hope you have some big wins up there! 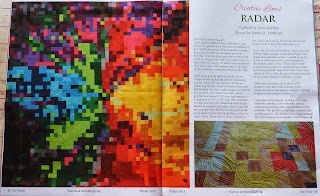 I met Kevin the Quilter today (loved his ideas and his trunk show) and was SO excited to see Radar as well! The quilting was absolutely breathtaking. He's the reason I'm on your blog! I LOVED your MQ and he gave us your info. Cedar Rapids is too soon but hoping your going to MQX in Springfield, IL. Would love to take a class from you! Have hotel room booked - now waiting on classes to come out!